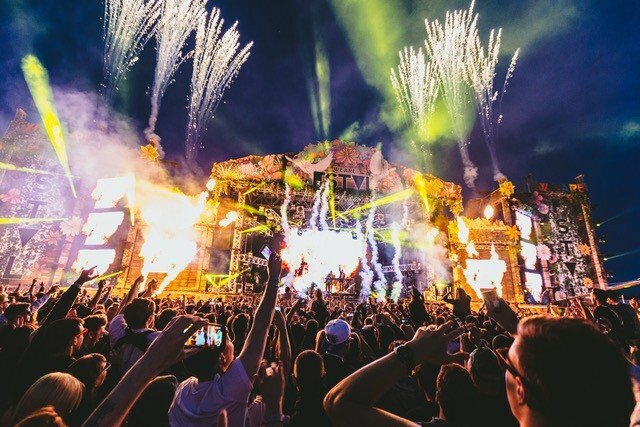 All we want for Christmas is: Nina Kravitz, Yungen, Basement Jaxx, Chase & Status, Craig David and Andy C.
For its hugely anticipated 7th edition, We Are FSTVL is heading back to Damyns Hall Aerodrome, Upminster from 24th – 26th May 2019, bringing together colossal names in House, Bass, Techno, UK Grime, and Drum & Bass. As if featuring over 300 acts, split over 30 areas in a period shorter than 72h hours wasn’t enough, We Are FSTVL is also bolstering their underground credentials this year. Following a wildly successful summer in Ibiza, which saw the record-smashing 9-week residency pick up ‘Best Ibiza Night’ at the 2018 DJ Awards, RESISTANCE will be heading back to Europe to host a stage during the 7th edition of the British summer festival. The inaugural partnership with the esteemed underground institution will showcase sets from the most in-demand artists in electronic music, such as; Adana Twins, Ben Klock, Dixon, Green Velvet, Maceo Plex, Nina Kraviz, and Solomun. South London’s rising star, Yungen was also added to their We Are Bass stage on Sunday, where he will be sharing the stage with James Hype, Nathan Dawe, Notion and Tom Zanetti along with recently announced Andy C, Hype & Hazard and Craig David. Tickets for We Are FSTVL 2018 are available to purchase now, through the official We Are FSTVL website here. Day tickets start from £56 with camping, VIP upgrades and lockers available to buy as add-ons. Until then, you can marvel at the fill line up below.